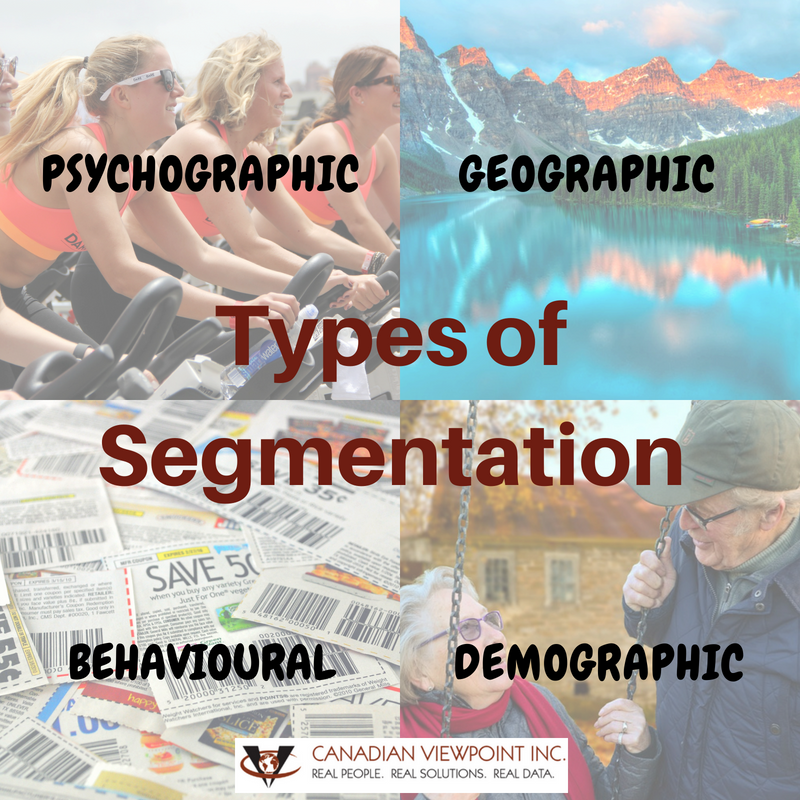 In the marketing world, segmentation research involves identifying subgroups of people within a larger population so that each subgroup has similar needs or desires. Understanding the various segments of people within a product or service category allows marketers to design more personalized, relevant products and services, as well as more impactful messaging and packaging. Segmentation research is typically conducted by administering a quantitative questionnaire to a large group of targeted consumers. These could be people who use or buy within a specific category, or even buyers of a specific brand. Regardless, there are a variety of ways to conduct segmentation research. Demographic: The simplest form bases the segments on demographic variables such as age, gender, education, employment, income, career, household size, ethnicity, language and various other key characteristics. This method assumes that people’s values, interests, and attitudes can be traced back to their demographic characteristics. This method is often the easiest and quickest way to segment people which is why it’s so popular. When answering a questionnaire, people can easily find the answer option that most accurately reflects themselves. I know my age, I know my education, I know the language I speak. Geographic: Geographical segmentation is also fairly simple to conduct as it relies on a physical location. Again, this type of segmentation is easy for people answering a questionnaire as most people can locate their primary residence, place of employment, educational facilities, or recreational facilities on a map. In this case, the assumption is made that people’s values, interests, and attitudes can be traced to their geographic characteristics. Behavioural: Behavioural segmentation relies on measures of, you guessed it, people’s behaviours. What hobbies do they participate in? What products and services do they use and buy? What are their shopping routines? Any habits (e.g., shopping, cleaning, travel), hobbies (e.g., model cars, crafting, fitness, reading), and lifestyle characteristics (e.g., to they go out with friends, do they travel) fall into this model. Psychographic: Psychographic segmentation focuses on people’s attitudes, opinions, personality characteristics, life goals, social standing, and other more conceptual and flexible variables. These models can be difficult to conduct because it’s more difficult for research participants to find the ‘correct’ answer and more difficult for researchers to bucket people. Questionnaires need to be much more carefully designed than for demographic models. For instance, you can’t simply ask people if they are liberal (or conservative, or outgoing, or demanding). Everyone’s definition of ‘liberal’ is slightly different and the end result would be unreliable. Instead, a larger set of questions that can be distilled into one clear definition is required. Mixed Model Segmentation: In most cases, segmentation models combine two or more of the methodologies. Demographic models often incorporate geographic components, and behavioural models often incorporate psychographic components. It makes sense to talk about high income couples who use coupons (demographic+behavioural), or outgoing people who volunteer at a community center (psychographic+behavioural). Regardless of which technique you select, the end goal must be a segmentation model that is relevant to your product or service, and is actionable. A model that can be actioned into marketing activities, product designs, or pricing strategies is money well spent. This entry was posted in Market Research and tagged data collection, fieldwork, LOI, package test, panel, panelist, quantitative, recruitment, reporting, sample, segmentation. Bookmark the permalink.